Keyser wrote: Dinosaur colours and Mark Witton's latest book. That looks like a sparrow caught in the rain. Stop trying to make dinosaurs lame. One of the nicest reconstructions of the super-lizard Mosasaurus hoffmani that I have seen. Compare it to the Jurassic World tosh. Keyser wrote: One of the nicest reconstructions of the super-lizard Mosasaurus hoffmani that I have seen. Ever since Liopleurodon featured in episode 3 of the ground-breaking BBC series “Walking with..” this short-necked Plesiosaur, more commonly referred to as a Pliosaur has been regarded as a truly huge predator. The programme showed Liopleurodon snatching an unwary Eustreptospondylus from rocks and chomping female Ophthalmosaurs in half before finally coming to a sad end stranded on a Jurassic beach. At the time the writers and researchers for the TV series estimated that an adult male Liopleurodon could reach lengths in excess of 25 metres and weigh more than 150 tonnes. If this were indeed the case then Liopleurodon with its 18 inch long teeth could lay claim to being the biggest carnivorous animal ever. However, the existing fossil evidence does not back up the BBC’s claims. There are four species of Liopleurodon known, the first and the holotype for the Liopleurodon genus (L. ferox) was named and described by the French palaeontologist, H. E. Sauvage in 1873. Sauvage was working with very poor material, basing his scientific description on some smooth-sided teeth found in France. This is how Liopleurodon got its name (means smooth-sided tooth). These remains are dated to the Callovian stage of the Jurassic, other Callovian remains ascribed to Liopleurodon have been found in France and England, over the years much more evidence has been unearthed but reconstructions, if correct only put L. ferox at about 10 metres long. The Oxford museum has a partial mandible believed to be from another Liopleurodon (L. macromerus). This measures over 2.8 metres in length, but the mandible is not complete. Estimates of over 3 metres have been given for the full length of the jaws, this could indicate that this individual was considerably bigger than L. ferox. Liopleurodon macromerus is also known from Jurassic deposits close to the river Volga in Russia. The trouble was that the largest Pliosaur remains were first called Pliosaurus then reclassified as 'Stretosaurus' then 'Liopleurodon' and then reclassified again because it was actually a species of Pliosaurus! WWD based their Liopleurodon on the biggest Pliosaurus fossils. IIRC the correct size for actual Liopleurodon ferox was around 6.4 metres. Wiki is pretty good on this bloody mess actually and has the latest size estimates for various Pliosaurus species. Shastasaurus was a bit of beast too but the Megalodon was the biggest baddest of the lot. 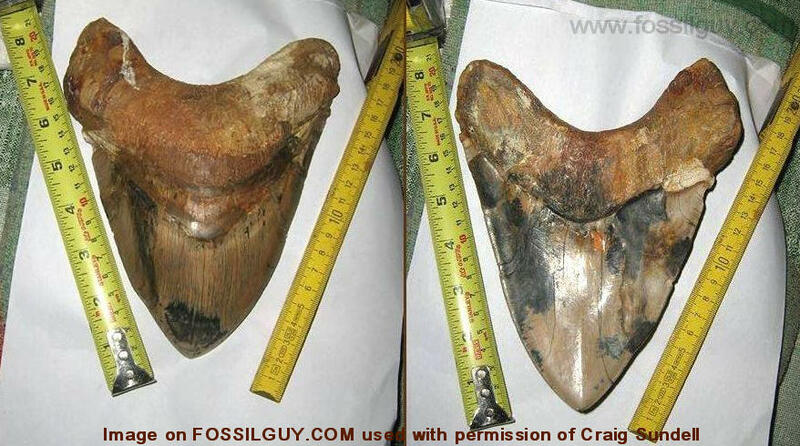 LordRaven wrote: Shastasaurus was a bit of beast too but the Megalodon was the biggest baddest of the lot. The article below actually underestimates the maximum size of Megalodon which could reach over 20 metres long and weigh more than 100 tons. charlie wrote: That's very interesting!! To the casual observer, the difference between a planet and a star is pretty stark, but in reality things are a little murkier. A class of object known as a "brown dwarf" sits in the middle, with more mass than a planet but not enough to kickstart the nuclear fusion process that characterizes a star. One of these strange objects was recently downgraded to planet status (albeit a huge one), and now astronomers have discovered that it generates an enormous magnetic field, which could provide a new tool in the search for exoplanets. The object of interest in the new study, known as SIMP J01365663+0933473, was first discovered in 2016, and at the time was believed to be an ancient, massive brown dwarf. But last year astronomers got a better look at it, determining its surface temperature was about 825° C (1,517° F) and bringing its age down to a mere 200 million years – a relative baby in astronomical terms. You should never go to the cinema for Jason Statham films! Wait until they're on their natural home of Blu-Ray/ DVD/ downloaded off the internet. I think they could actually remake Jaws, would be a lot scarier with modern special effects, plus they left a load of stuff out of the novel they could put in the new one. Ray of Sunshine wrote: You should never go to the cinema for Jason Statham films! I would just prefer it if they inserted a CGI shark into the original (although the head models were superb for the time) they could base it on 'Deep Blue' and several other giant tagged females who are almost the size of Jaws.